Among them are both military and civilians. 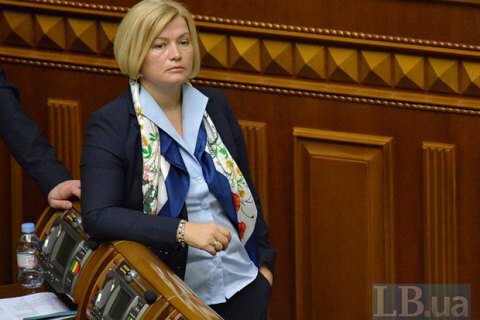 The militants in the occupied territories of Donetsk and Luhansk regions are holding captive 111 people, the representative of Ukraine in the humanitarian subgroup at the trilateral contact group on Donbas settlement, first Deputy Speaker of the Verkhovna Rada Iryna Herashchenko stated as quoted by Interfax-Ukraine. "After the release of Ivan Bezyazykov, according to SBU information that we have, 111 citizens of Ukraine are held in the occupied territories of Donbas. Those are both civilians and military," she said 6 July on the sidelines of the parliament. At the 20 April meeting of the Contact Group, all parties - the OSCE, Russia and the separatists – stated in support of the initiative of Ukraine about the exchange of prisoners in the format of 25 to 50 (25 persons held in the "DPR-LPR" to 50 separatists detained in Ukraine) by 2016 Easter (1 May). Very soon, it has become clear that the "DPR-LPR" on various pretexts block the exchange of prisoners. This issue remains unresolved ever since.